Without the inclusion of K-style, does GunZ 2 have enough style in order to stand up on its own? Well after several months of play, GunZ 2 definitely has some style, but sadly, many of the game’s design choices, available features and technical issues prevent it from achieving greatness. The control scheme is very typical for a TPS title, with WASD movement and dashing, spacebar jumping, mouse look aiming, etc. and it all works out as well as it should. But along with this straightforward control scheme, GunZ 2 comes with advanced control s which allows players to perform spectacular action movie movements, fast and easy. For instance: players can run up walls, hop off ledges and dash in quick session in order to maneuver in and out of combat. Players can make use of every inch of the battlefield. It’s all very intuitive and there’s never a moment where the player will feel like they’re not in control of their actions, except when dealing with enemy attacks, of course. It’s one of the key features that helps make GunZ 2 easier to pick up and play when compared to the original, but due to these changes in control, the pacing of the game feels significantly slower. Personally, this is all well and fine, as it allows for a more balanced and maintainable gameplay environment, but diehard veteran players of the original GunZ will have to make some adjustments. Compared to the original, GunZ 2 contains a lot of barebones options and features for players to engage themselves in: There are only four game types available, including Team Deathmatch, Team Elimination, Team Gladiator and Time Assault. TDM is exactly as it sounds, Team Elimination is just like Team Deathmatch but with no respawns and Gladiator is just like Team Elimination but with melee weapons only. 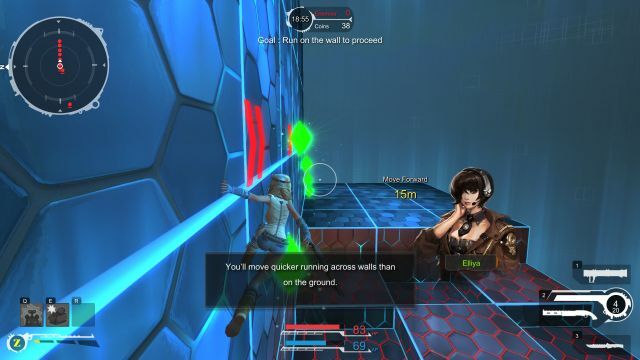 Time Assault is an Attack & Defend mode where players take turns attacking three sets of destroyable objectives, and while this mode requires certain team compositions in order to succeed often enough in, it doesn’t play out much differently from what players would expect from Attack & Defend modes in other FPS/TPS games. The core gameplay for GunZ 2 is all about speed and style. Players will have to run, jump, aim well, shoot fast and think even faster if they want to keep up against their opponents who can attack and kill other players from just about every direction possible. The intuitive control scheme lends itself to create some intense, high flying action movie moments that gamers would not typically see in TPS titles similar to this. Ascend the walls on that building and ambush foes from above is a typical offensive strategy. Players can camp on a chandelier and snipe enemies down below. Or just go full Rambo and face your enemies head on, guns blazing. There’s so many ways to approach a fight and all players will be able to find a play-style that suits their preferences, no matter which class they choose. Also included in the control system are active skills that are unique for each character class, such as melee attack knockdowns, juggle attacks, stealth clones and more. Most of these skills are dictated by the Z-Meter which can be filled by killing enemies, blocking attacks with melee weapons or by picking up Z-canisters around the map. This leads to an interesting mini-game of meter management, since Z-meter skills have various uses to turn the tide of battle in an instant. So with that said, while the gameplay manages to capture a unique style all its own, at the same time it manages to completely botch the fun factor due to the game’s netcode. 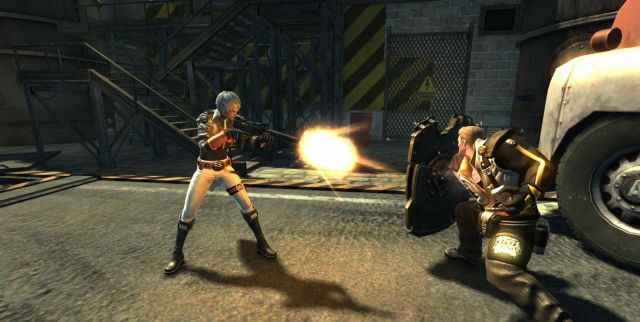 While players may have been able to deal with Peer-to-Peer connection systems in the past, that same kind of system simply doesn’t work well in GunZ 2, and due to the game’s faulty matchmaking system, it will set up connections improperly by selecting players that have the worst connection speeds, making all other players warp around and blink during battle. It will also give the host player a huge connection frame advance by several milliseconds or more, so there will be times where a host player will be able to kill other players even before they know what hits them. As mentioned before: The overall gameplay of GunZ 2 has a slightly slower pacing when compared to the original, due to the removal of K-style techniques. For those that don’t know what K-style is: Imagine the wavedash and move cancel techniques that players created in Super Smash Bros Melee, then throw it into a TPS. That’s (more or less) K-style in a nutshell, and while it helped to give the original GunZ a unique flavor all its own, it also managed to unbalance the game in dreadful ways. 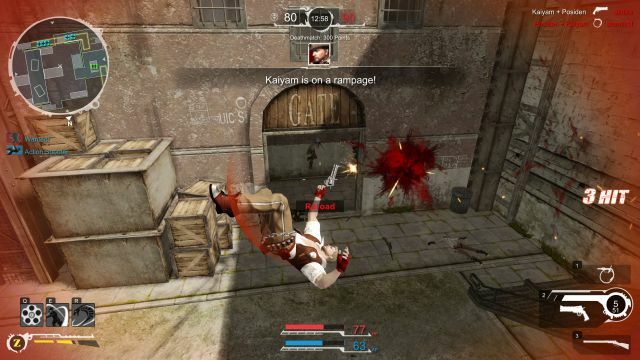 So in GunZ 2, excessive animation canceling has been removed, which disallows players from creating any game breaking techniques such as K-style. That’s all well and fine, but the problem with this removal is that MAIET did not include many new and “built-in“ advanced techniques to keep the high skill ceiling present that gave the original such replayability. As mentioned before, for most veterans of the original, GunZ 2 will feel slow as molasses in comparison, since players cannot dash as fast as they can input their movement commands, or switch weapons whenever they want in order to create instant kill combos. While this helps MAIET to create a more fair and balanced game environment, the flair of the original simply is nowhere to be found here. Each class has their strengths and weaknesses, so teams will be able to form many different strategic compositions. However, some character classes can hold their own much better than others, such as Ivan the Silent Avenger, who is supposed to be a Jack of all Trades type, but is actually a master at MANY combat situations: A katana with long reach for close quarters, an SMG for mid-range and a sniper rifle for long range makes Ivan too balanced for his own good. Players can go in with an entire team of Ivans and do fine, but trying to go in with a team of only Max or Wayne? Not so much. 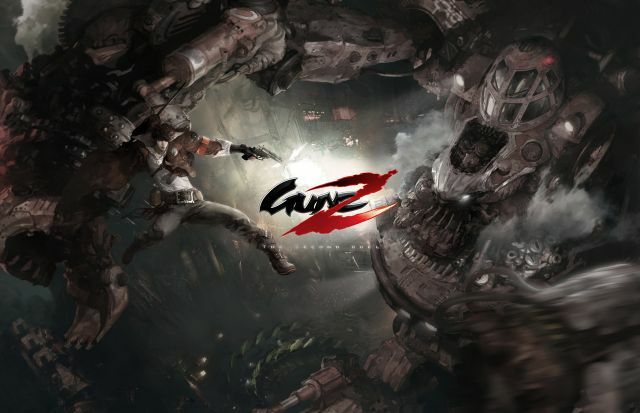 When you’re not playing the game competitively against others, GunZ 2 also features a Campaign mode that spans across 9 missions where players can team up to fight against impressive bosses, such as a gigantic, “Metal Gear- esque” tank that player must scale and run up on in order to defeat. It’s a great campaign to play through the first time around, but it offers absolutely no replay value. They could have easily added things such as droppable items and cosmetics that players can attempt to farm in order to increase replayability, but as it is, there’s almost no reason to play through the campaign more than once. GunZ 2 features a surprising lackluster amount of character customization options when compared to the original title. While some of the removed customization options from the first game has some justifiable reasons to them, GunZ 2 adds very little to replace those missing options. Unlike the first title, players cannot select their own weapon loadouts based on a weight system. Instead, players can only pick between three weapons types specific to their character class. So for all those old school players that were expecting to rock a dual shotgun or dual revolver + katana combo, prepare for disappointment. GunZ 2 also lacks many cosmetic customization options like in the original, as well. 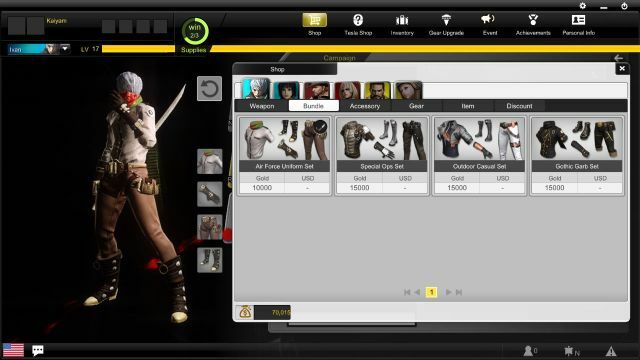 Granted, the first GunZ has had several years of cosmetic items built up so that players can mix and match apparel to look unique, but the amount of cosmetics that players have in GunZ 2 is so lacking that even the original GunZ 1 had more customization available when it first launched. Players cannot even choose between different face and hair types like they could in the original, so players will have to deal with battles against clones of themselves within each and every match. GunZ 2 introduces a “Gear System” that allows players to increase their character’s stats through Max HP, Max AP, increased critical hit and increased direct HP damage from ranged weapons. While not completely mandatory, boosting your character’s stats to fit your play style does help in a pinch, but the process of increasing your stats can be a nightmare for players that aren’t dedicated or do not have deep pockets. Upgrading gears in GunZ 2 is entirely determined by luck/RNG, and the amount of in-game gold that players will need to dump in order to get perfect stats can rise towards the hundreds of thousands. 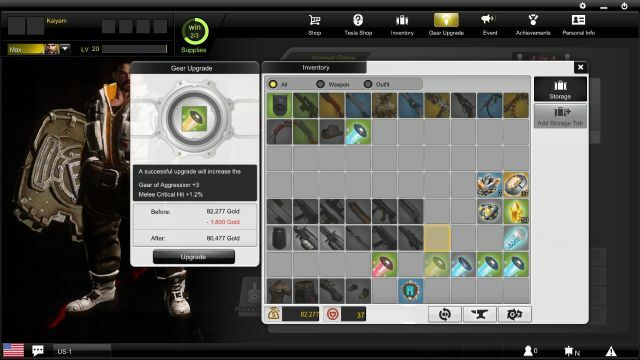 If it wasn’t for the daily bonuses that gives players free gold, gears and crystals just for logging in, and the supply crate system that gives players a random set of crystals to use in the Tesla Shop, GunZ 2 could easily be seen as a Pay-to-Win game. While many players will still see it as such, these systems do a fair enough job to allow players to earn items in the game without having to reach for their wallets in order to compete. Thanks to MAIET’s own in-house engine known as Realspace 3, the visual quality stands up well enough compared to many other F2P and retail titles currently available, with moderately well detailed environments, character models and visuals effects. 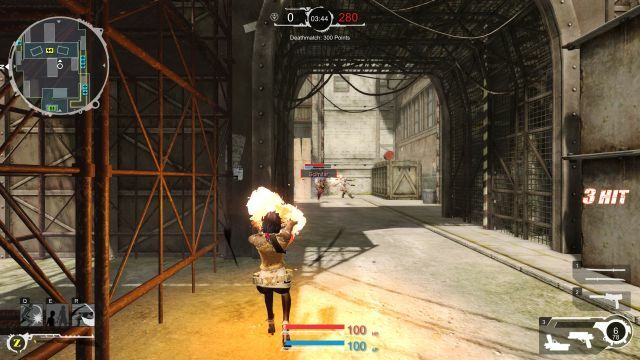 However, the optimization for these visuals is less than stellar, especially for foggy visual effects, which many players may notice on stages such as Oil Rig and Colosseum. Now personally speaking, the music of GunZ 2 is perhaps the weakest aspect of the overall presentation, because besides the opening login music, GunZ 2’s music doesn’t have the dramatic action movie vibe that the original GunZ had. Instead of heavy rock and techno beats, they’ve gone with more funk and 90s rock, which just doesn’t have the same tension. In its current state, GunZ 2 presents a lot of great ideas that have rarely been attempted in third-person shooters, let alone F2P ones, but the lack of a proper netcode/dedicated servers, customization features, optimization and overall available content really drags the entire experience down. If MAIET could possibly get a working dedicated server system in place, then GunZ 2 could be worth a recommendation. Until that happens, only the most dedicated GunZ fanatics and MAIET supporters will be able to handle the issues that plague this game.